When Earth is taken over by the overly-confident Boov, an alien race in search of a new place to call home, all humans are promptly relocated. 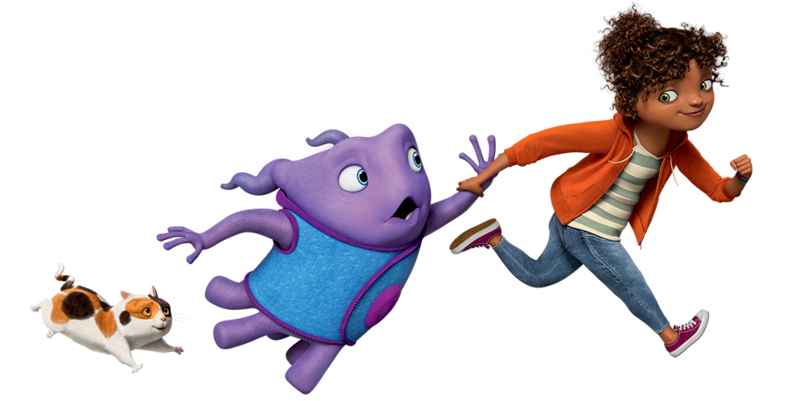 While all Boov get busy reorganising the planet, one resourceful girl, Tip (Rhianna) manages to avoid capture and she finds herself the accidental accomplice of a banished Boov named Oh (Jim Parsons). With strong marketing behind the launch of the high profile film in March 2014, the licensing opportunities in this latest DreamWorks film are strong. Bulldog represents the publishing rights for the studio in the UK and is working closely with major partners including Igloo Books for a wide range of formats and Immediate Media for a DreamWorks Magazine.